We provide reliable, timely, and affordable phone system services for small business phone systems, work from home VOIP phone systems and large corporate phone systems in Portland, Oregon and beyond. Our team can perform off hour or weekend installations, repairs and upgrades so your business will have NO Down Time! You will save money with C.S.R.T. because when we arrive we get to work immediately so you never pay for idle time. Do not waste your time or money using a lesser phone system company, call C.S.R.T. today! Phone systems are the back bone of a company; we can schedule off hour, weekend and evening installations, repairs and upgrades so your business can resume regular operations as usual with NO Down Time! C.S.R.T.phone system technicians have the experience needed to save you money by getting the job done right in a timely manor. We charge less because we do not waste your time so our phone system installation prices are lower than all competitors. Contact C.S.R.T. for more information about phone system installation in Portland and beyond. Phone system repair is one of our specialties. We will travel to your location and repair your phone system for less. our experienced phone system repair technicians will diagnose your problem and repair the phone system in a timely manor so you can get back to your busy schedule. We also provide 24 hour emergency repair and phone system support services so you have NO Down Time! Contact C.S.R.T. 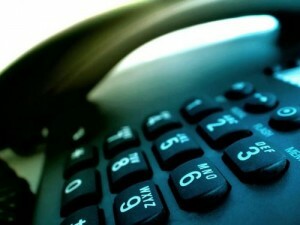 for more information about phone system repair in Portland and beyond. Our VoIP phone system specialists will travel to your location to repair, upgrade and install VoIP phone systems. Voice over Internet Protocol (VoIP) is a method for taking analog audio signals, like the kind you hear when you talk on the phone, and turning them into digital data that can be transmitted over the Internet. We also provide 24 hour VoIP phone system support and emergency repair services so you have NO Down Time! Contact C.S.R.T. for more information about VoIP phone system repair in Portland and beyond. PBX phone systems offer many other calling features and capabilities with different manufacturers providing different features so choosing the right PBX phone system is important. We can help you select the right PBX phone system for your business so you have all the features you need. With the ability to transfer calls PBX phone systems are a great way to increase the efficiency and professionalism of your business. Some of the main PBX phone system features include auto attendant, auto dialing, automatic call distributor, automatic ring back, call accounting, call blocking, call forwarding, call pick-up, call transfer, call waiting, conference call, custom greetings and much more. We also provide 24 hour PBX phone system support and emergency repair services so you have NO Down Time! Contact C.S.R.T. for more information about PBX phone system repair in Portland and beyond. We can sync your cell phone to all of the devices you need to operate your business remotely. We will set up your system so you can access multiple computers, printers, emails, calendars, security cameras, billing functions, and much more remotely from your cell phone. Work smarter, not harder. We offer the elite smartphone support on a pay as you go program. Our cell phone techs will can help you 24/7 so you do not have to “get number and waiting in line” like the phone stores. Just tell us your problem and we will fix it. We also provide 24 hour cell phone sync support and emergency sync services so you have NO Down Time! Contact C.S.R.T. for more information about cell phone sync in Portland and beyond. We can upgrade phone system to incorporate the latest technology. In this day and age business owners are trying to save money and upgrading your phone system to improve productivity can save you money while increasing your bottom line. Just tell us you would like to achieve and we will do it. We also provide 24 hour phone system support and emergency phone system services so you have NO Down Time! Contact C.S.R.T. for more information about phone system upgrades in Portland and beyond. C.S.R.T. provides state of the art phone call tracking and recording. C.S.R.T. can integrate phone call tracking with your existing phone system to save you time and money. We also provide 24 hour phone call tracking and phone call recording services so you have NO Down Time! Contact C.S.R.T. for more information about phone call tracking and phone call recording in Portland and beyond. Call C.S.R.T. for phone system repair and setup today and we will fix all your telephone network problems. We can also integrate your current phone system with computers, programs, cell phones, tracking and recording systems. We also provide 24 hour phone call tracking and phone call recording services so you have NO Down Time! Contact C.S.R.T. for more information about phone call tracking and phone call recording in Portland and beyond.For more information about phone system networks contact us today. Our experienced Portland business phone system specialist will install, repair or upgrade your phone system right the first time. We are ready, willing and able to schedule off hour, weekend and evening installations, repairs and upgrades so your business can resume regular operations as usual with NO Down Time! We charge less because we do not waste your time so our business phone system prices are lower than all competitors. Contact C.S.R.T. for more information about business phone system in Portland and beyond.